Irwin I. Kimmelman was born in Newark, New Jersey on September 10, 1930. After graduation from Weequahic High School, he studied accounting at the Rutgers University School of Business Administration. After graduation in 1952 he entered Harvard Law School. He won the Roscoe Pound Prize for brief writing and oral argument, and graduated in 1955. He was admitted to the New Jersey Bar the following year after a clerkship with Superior Court Judge Edward Gaulkin. Kimmelman is among the small group of public officials to serve in each of the three branches of state government. He served in the General Assembly from 1964 to 1966. He was a Superior Court judge from May 1971, through September 1976, when he resigned to return to private law practice. 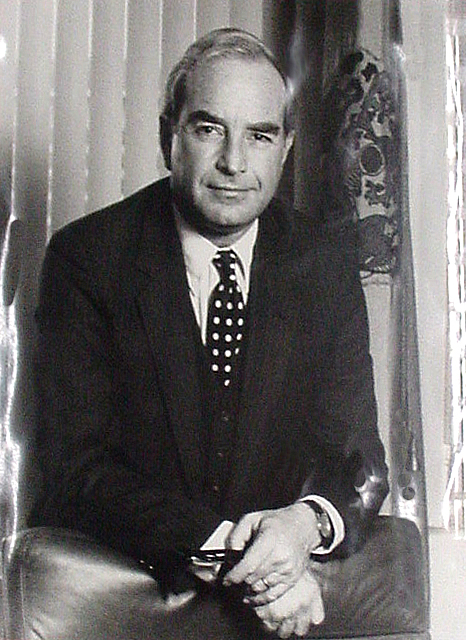 Governor Thomas H. Kean announced his choice of Kimmelman as Attorney General on December 14, 1981. Kimmelman was confirmed by the Senate and sworn in on January 19, 1982, the day of Governor Kean’s Inauguration. During his term, Kimmelman adopted a hands-on approach to administering all operations under his authority and created new guidelines for Division of Criminal Justice Investigators.